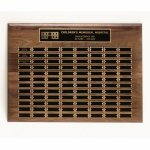 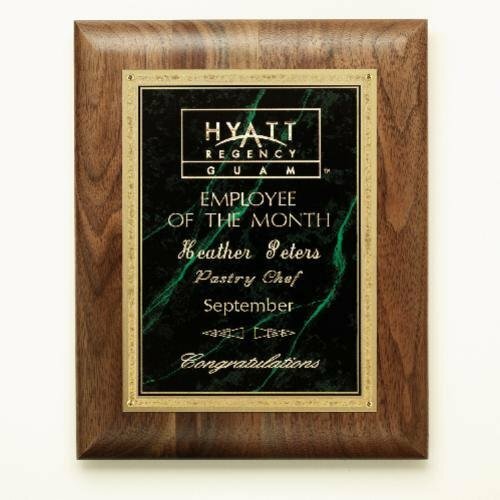 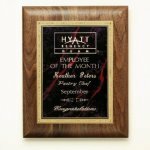 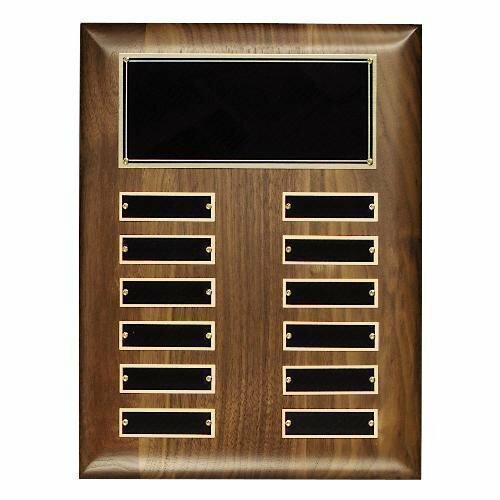 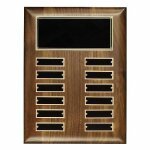 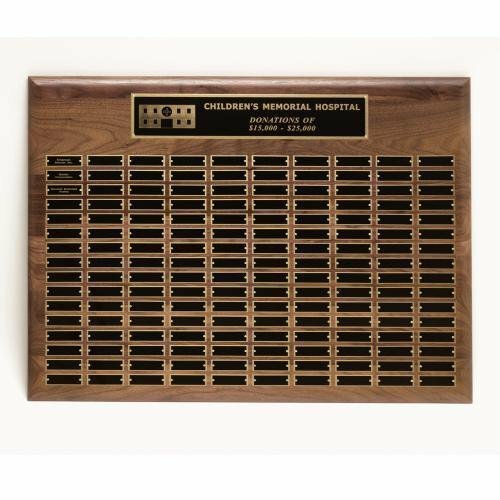 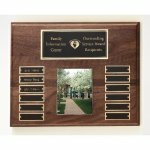 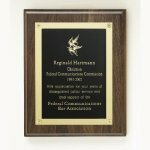 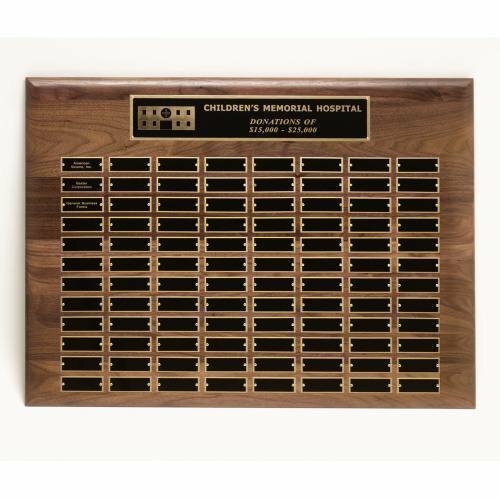 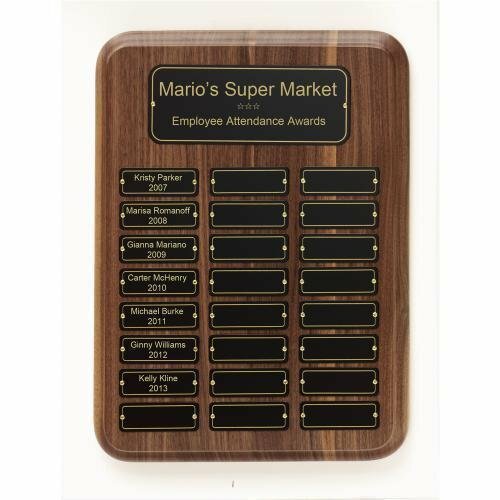 Our richly appointed solid walnut perpetual plaques make earning a place on the plaque an achievement of merit. 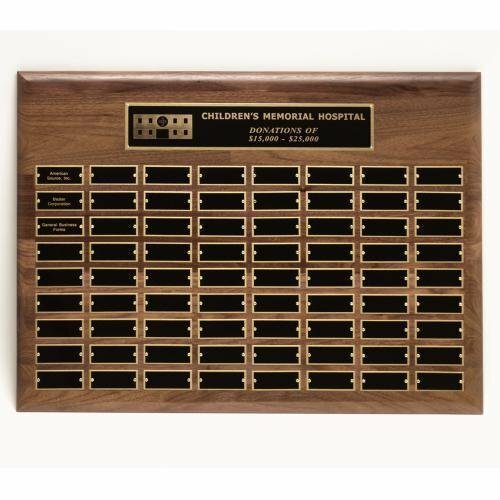 Choose from our many styles and plate configurations, or let us custom make the exact amount of plates you need for your program. 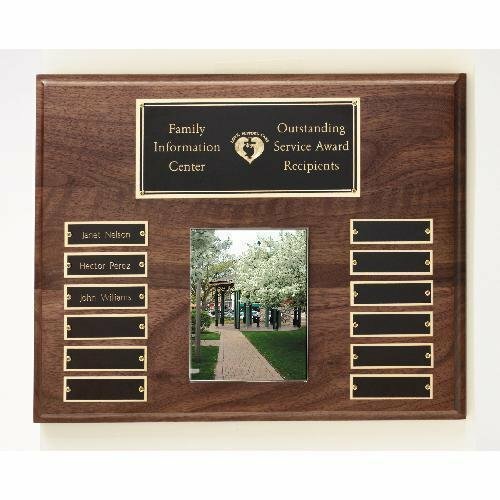 24 Plates, 11" x 15"
72 Plates, 22" x 30"
96 Plates, 22" x 30"
160 Plates, 22" x 30"
Hand rubbed walnut plaque with black brass plate. The Waterfall has a dramatic drop off to a rectangular column. 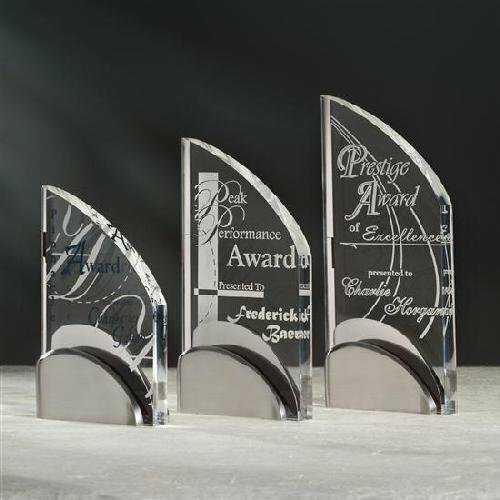 This piece is part of our Monolith Series and Solitaire section. 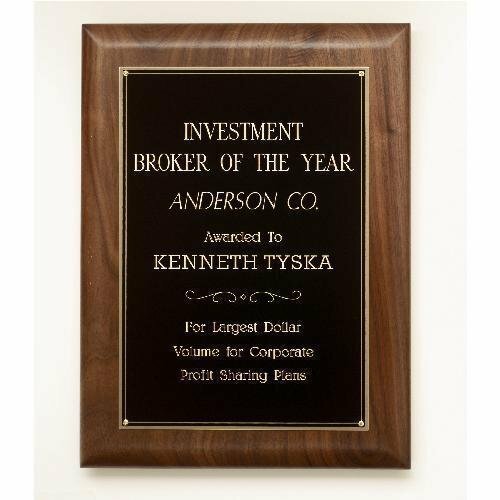 This item is currently offered in one size. 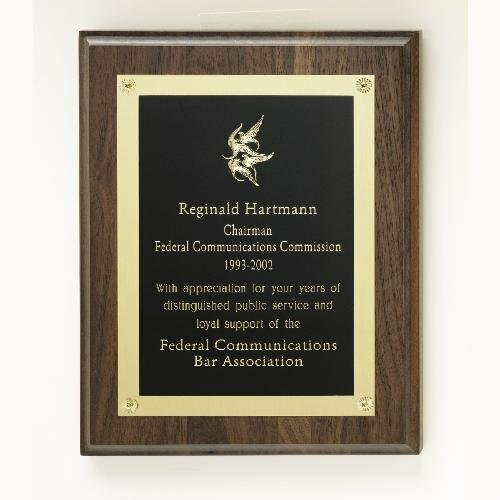 8" x 3" x 1-1/4"